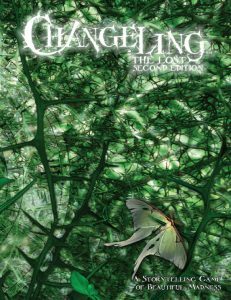 Now available: Changeling: The Lost 2nd Edition! 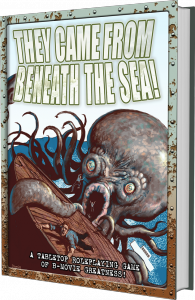 Get it in PDF and print from DriveThruRPG, or order via Studio 2 or Indie Press Revolution for direct purchase for individuals or retailers. 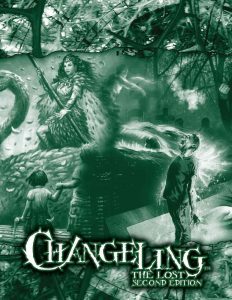 Also available: Changeling: The Lost 2nd Edition Storyteller Screen & Companion, from DriveThruRPG or via Studio 2 or Indie Press Revolution! Additionally, the Storyteller Secrets Companion to the screen offers additional quick references to make the Storyteller’s job easier, including Conditions, charts, and a lexicon. Why exactly was the pledge system so downgraded from 1e? I mean, it still works and contracts now do more things in general, so that the pledges didn’t need to be so usefull, but still it seems odd. Not that the new one is bad, but it was fun to construct pledges in 1e. Also when can we expect to get the new talecrafting rules that where teased in The Pack, or do the 1e books keep relevance and newer books add on to our previously bought books? Not native speaker, so sorry if i sound off.